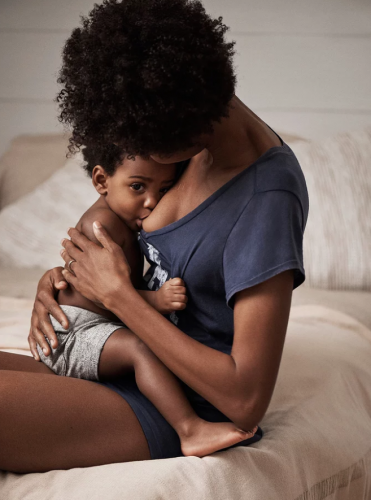 An Instagram campaign by American youth fashion brand Gap featuring a breastfeeding mother is being hailed as one of the most powerful advertising images of all time. Typically, images of breastfeeding can be divisive for many. However, the Gap campaign that appeared over the weekend has been universally hailed primarily for its simplicity and power of the message. 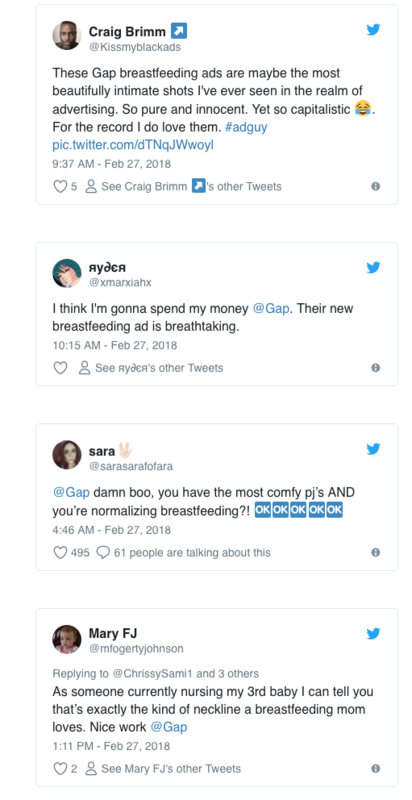 The image of a young baby boy suckling his mother was designed to show that you can do anything in Gap’s new luxe apparel line called Love By GapBody. Coincidentally, it comes as Gap fell on its retail sword here in Australia, closing its last remaining Sydney CBD store in early February. And praise for the ad has been effusive, as well as for what it has done to normalise breastfeeding. “LOVE LOVE LOVE!! Thank you @gap for showing breastfeeding ? #normalizebreastfeeding,” wrote one Instagram user. “There is so much to love about this ad! Thank you for supporting mothers!” added another. “GAP this is AWESOME! Thank you for helping to normalize breastfeeding, featuring a black woman breastfeeding and a toddler nursing! So amazing of you,” one said.